This week’s topic, The Relationship between Creativity and Intelligence was a bit ‘deeper’ than usual. It became quickly apparent that there were many divergent opinions on the subject. It proved to be an interesting conversation. We welcomed many new people to the chat as well! In order to consider this relationship, we first defined what intelligence and creativity meant to our participants. According to Gautam, intelligence is a domain-general ability to solve complex adaptive problems. In its pure form, intelligence is complex and multidimensional. 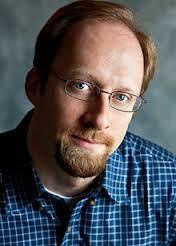 Defining intelligence has gotten a lot of press in recent years; many new ideas! 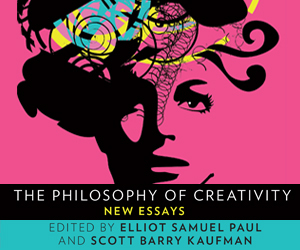 Currently, there is no scientific consensus on how these constructs [creativity and intelligence] are related. Some believe intelligence may increase creative potential up to a certain degree. (Jauk, Benedek, Dunst, Neubauer 2013) Some say they are opposite ends of a spectrum; other the same thing. What are some things that characterize highly creative people? 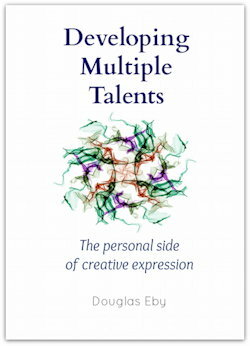 Highly creative people are passionate, sensitive, imaginative, intuitive, and often solitary. They are open to experience, mindful, think differently, daydreamers, turn adversity into advantage. We then discussed why it is important to understand the creative process as it affects gifted kids & adults. 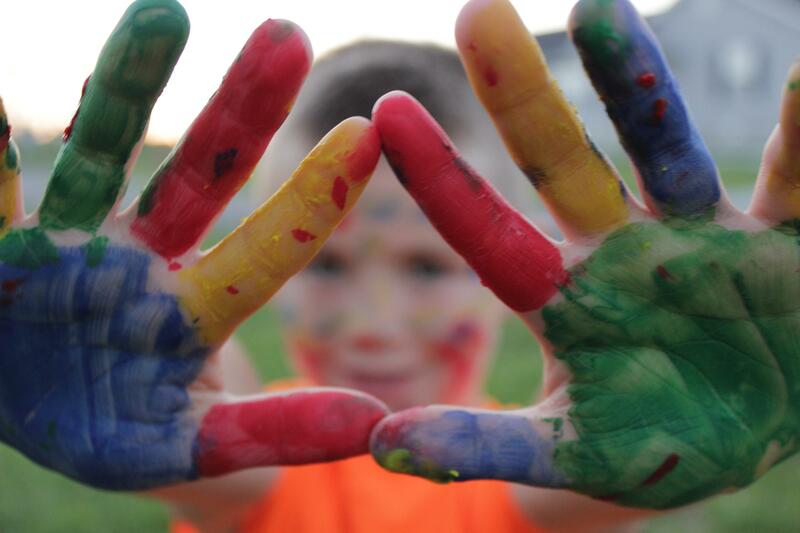 The more we know about neuroscience and creativity, the better we can meet the needs of gifted children. Using outdated information can diminish best practices for empowering gifted kids to fulfill their potential. Understanding how the brain works and networks will benefit all gifted and twice-exceptional children. A transcript may be found at Storify. 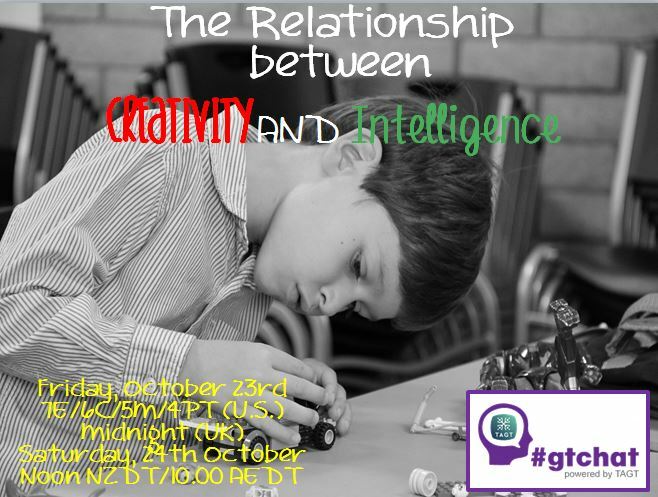 Global #gtchat Powered by the Texas Association for the Gifted and Talented is a weekly chat on Twitter. Join us Fridays at 7E/6C/5M/4P in the U.S., Midnight in the UK and Saturdays Noon NZDT/10 AM AEDT to discuss current topics in the gifted community and meet experts in the field. Transcripts of our weekly chats can be found at Storify. Our Facebook Page provides information on the chat and news & information regarding the gifted community. Also, checkout our Pinterest Page and Playlist on YouTube. Creative Passion and Gifted Adults proved to be a fascinating discussion about how creative passion is fostered and developed. The role of intensities in gifted adults was explored. A full transcript may be found here. As promised during chat, please find all the links presented during chat and additional links as well. Below, also, find a reading list pertaining to creativity. “Using Design Process (why & how) for Problem Solving & Education” from Craig Rusbult, Ph.D.
As Global #gtchat celebrated its 2nd year of support from the Texas Association for the Gifted and Talented, we welcomed a formidable panel of guests to discuss “Closing the Excellence Gap”. For over a decade, U.S. education policy-makers have sought to close the achievement gap; virtually ignoring its brightest students believing they would make it on their own. Worse yet, low-income and minority students who should have been receiving support were not even invited into the room. Let’s meet our guests for this chat! 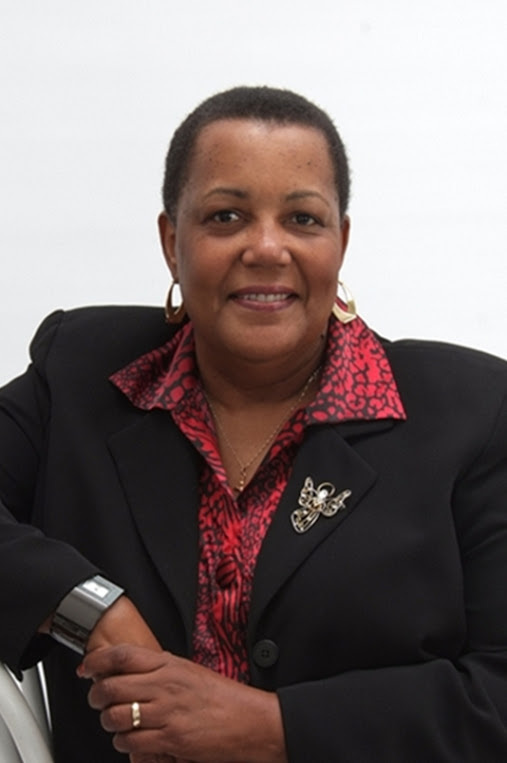 Dr. Joy Davis is Associate Professor at Virginia Union University, author of Bright, Talented & Black: A Guide for Families of African American Gifted Learners and a return guest to #gtchat. 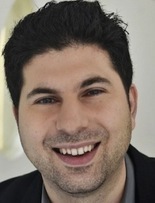 Dr. Scott Barry Kaufman is co-founder of The Creativity Post, Blogger at Scientific American and author of Ungifted. Rebecca McMillan is Senior Editor of The Creativity Post and founder of The Brain Café on Facebook. 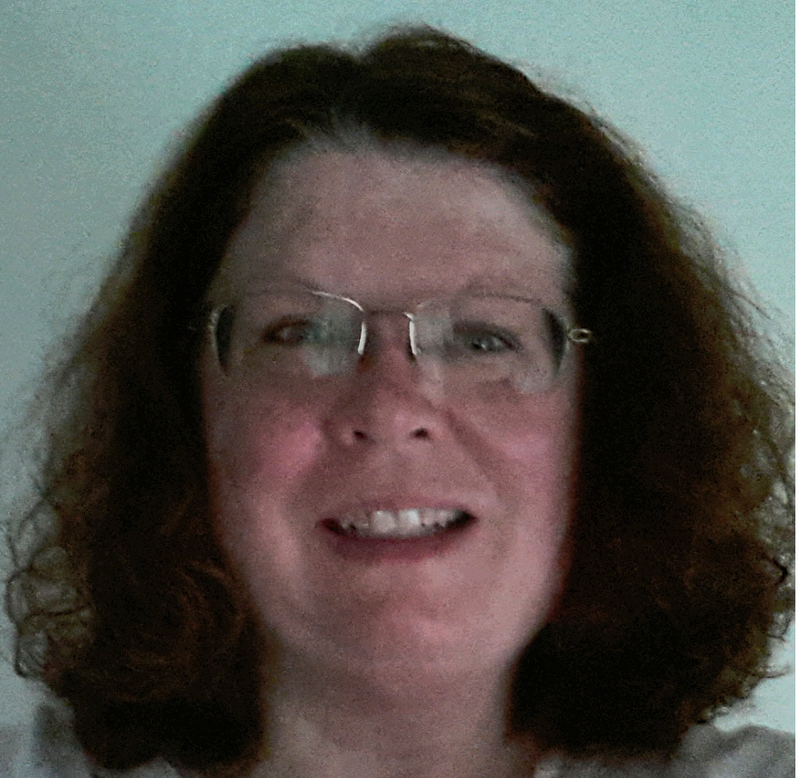 Rebecca is also an online instructor for Gifted Homeschoolers Forum. Dr. Jonathan Plucker is Professor at the University of Connecticut and Lead Author on “Talent on the Sidelines: Excellence Gaps and America’s Persistent Talent Underclass.” Dr. Donna Y. Ford was unable to be with us due to travel delays, but has agreed to be our guest for another chat in the near future. We look forward to chatting with her. Our first question delved into the difference between the Achievement Gap and the Excellence Gap. 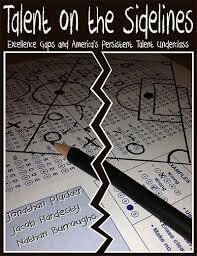 What groups comprise ‘America’s Persistent Talent Underclass’? Dr. Kaufman: “Any student who is systematically blocked from resources that would allow him or her to flourish is vulnerable. The culture of the school can also have a tremendous impact on vulnerability to excellence gaps. How can inequities specifically related to racial differences in gifted & advanced learner programs be addressed? A complete transcript of this chat may be found here. Hispanics Struggle to Graduate: An Issue of School Choice?